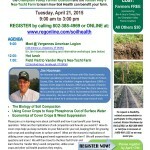 Soil Health Field Day Flyer_Hoorman 2015The snow is melting, the sap is flowing (hopefully), and the crew at CV Crops is dreaming of spring! April 21st, 9:00 am – 3:00 pm. We will meet at the American Legion, have a hot lunch, and then head out to the field to visit Vander Wey’s Nea-Tocht Farm. If you are a farmer, you can attend this field day FOR FREE, due to the generous contributions of Caring Dairy and the Champlain Valley Farmer Coalition. Service professions are welcome to attend, there will be a $30 fee. Five CCA credits available from this event. Either way, we request that you register. Jeff Sanders Speaking About No-Till Corn Planter Maintenance. Last week we held a corn planter clinic, with a focus on no-till equipment maintenance. Rico Balzano organized the event and Jeff Sanders (NW Soils and Crops Team) spoke to a crowd that included about 30 (+) farmers, and other agriculture professionals. It was a very successful event, with constructive discussion. 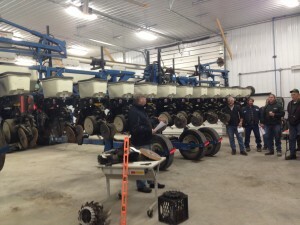 The clinic benefited both those considering no-till and those doing regular maintenance or upgrades on their equipment. Jeff Sanders highlighted many different parts of the no-till corn planter that should be looked at and maintained for optimum performance. He highlighted the importance in no-till for successful opening and closing of the seed slot, and that maintenance should be focused on those pieces. He discussed different options to achieve that objective, and what people have had the most success with in VT. Jeff also talked about the importance of a level planter, of proper depth, and of seed placement in the seed slot. Proper maintenance of the planter will prevent doubles and skips, and ensure the slot is V-shaped and not W-shaped. He recommends getting off the tractor and looking at what the planter is doing and ensuring that it is planting properly. Jeff also emphasized that weather conditions and soil moisture will affect how successful no-till planting is, and particularly that fields that are saturated may not seed well. Missed the Clinic? Do not despair. We will hopefully be holding more events in the future! In the mean time, if you have any questions, feel free to contact us. 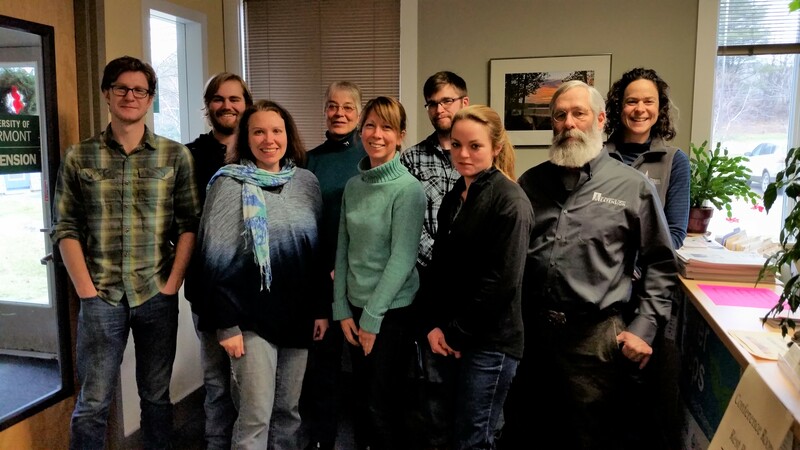 The 2015 No-Till and Cover Crop Symposium was featured recently on Across the Fence! The t.v. segment also features Kirsten Workman and Jeff Sanders discussing research, trials, and use of both cover crops and no-till in Vermont. 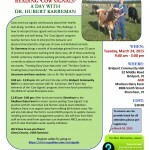 Interested in trying a new practice on your farm this coming year? We are happy to help you determine the best fit for your farm! 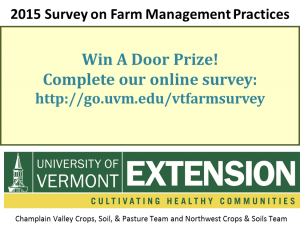 The survey helps us gauge local farmer practices, adoption, needs, and interests. It also helps direct our future workshops, events, and research. Click on the picture to go to the survey. Win a free year of goCrop!